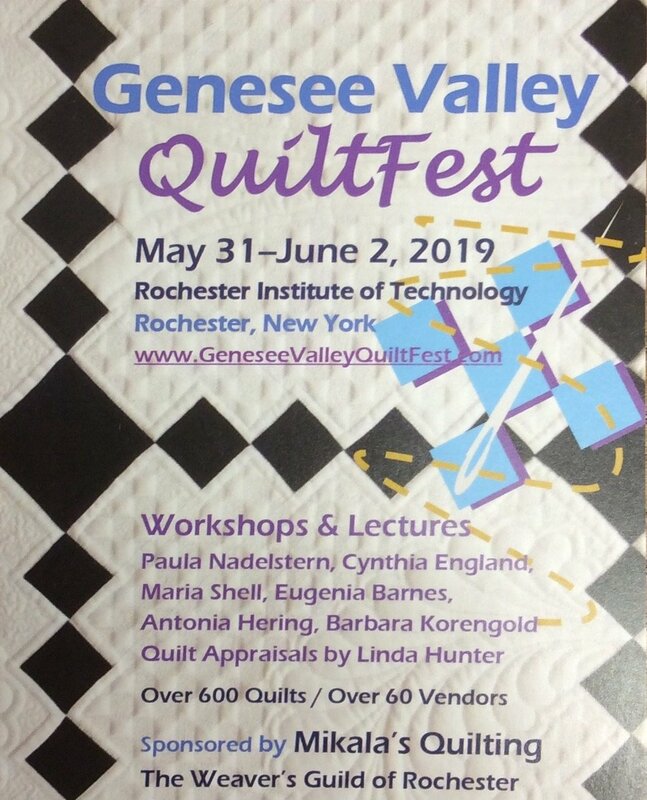 You are invited to join us as we venture to the Genesee Valley QuiltFest on Friday, May 31, aboard a Niagara Scenic Luxury Coach. We will leave Patchwork Garden at 8:30 a.m. and return at 4:30 p.m., giving you approximately 5 full hours to enjoy the 600 quilts on display as well as visit the over 60 vendors available to you! And another great advantage to the bus . . . you will get dropped off and picked up right at the door! Why not join us for this fun day! Call us at 716-810-9088 for availability!